Labour leader Jeremy Corbyn paid nearly £50,000 in tax in 2016-7, his newly published tax return shows. He received £136,762 in total earnings, comprising his £78,697 MP's salary, his £49,191 supplement as opposition leader and income from two pensions. In total, he paid £48,079.80 in tax. He has urged Prime Minister Theresa May to follow suit by releasing her own tax return, suggesting party leaders had to be "open and honest" about their arrangements to retain public trust. Mrs May has said it should be up to individual MPs to decide whether to do so or not. During the 2016 Conservative leadership contest, she published details of her annual earnings between 2011-2 and 2014-5 and tax incurred on them over the period. She has not published any information since then. MPs are currently paid £76,011 a year and as MP for Islington North, Mr Corbyn is entitled to a London weighting allowance. His latest return shows he also earned £6,464 from his state pension, £2,404.53 from his Unison pension and £6 on interest from savings. An error in Mr Corbyn's tax code - which was spotted by his accountant - meant the Labour leader had to pay £6,179.80 in income tax in one go after the end of the tax year. 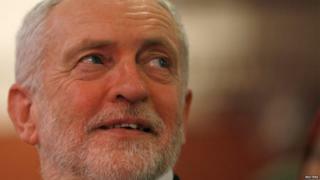 The Labour leader first released his tax return - for 2014-5 - in April 2016 amid a row over the then prime minister David Cameron's family investments. The Labour leader's 2015-6 declaration, published in March 2017, sparked a short-lived row after it initially appeared not to show the money he was entitled to as leader of the opposition. It was soon clarified that the £27,192 sum had been listed after all under pensions and benefits in line with Revenue & Customs rules. Shadow Chancellor John McDonnell also published his most recent tax return on Friday, revealing he paid £24,099.20 in tax on earnings of £87,353 last year.